The first 30 of 366 POWERFEST events kick off at partypoker on Sunday, May 6th. The $40 million guaranteed POWERFEST begins on May 6 at partypoker with the first 30 of 366 scheduled events. POWERFEST runs from May 6 through to May 30 and will see 366 events take place that have combined guaranteed prize pools of $40 million. The festival’s tournaments are split into six categories based on their buy-in, with Micro, Low, Medium, High, High Rollers and Super High Rollers. Seventeen of the POWERFEST events are considered Championship Events. The winner of each of these special tournaments receives a trophy sent to their home in addition to what should be a substantial cash prize. Thirteen of those Championship Events have prize pools guaranteed to be at least $1 million, with a cool $5 million guaranteed for the $25,500 Super High Roller on May 17.
partypoker is running a trio of promotions for POWERFEST. The first, which ends on May 3, is a Deposit Draw promotion where anyone depositing at least $10 is entered into a random draw. The randomly selected name then receives a POWERFEST package worth between $179.30 and $36,340 depending on their deposit amount. The Deposit Draw promotion ends on May 3 so you need to hurry if you want to be part of it. Winners are selected on May 4 and will have their prizes credited by 3:00 p.m. CET on the same day. POWERFEST players have the chance to earn double cashback points on four days of the festival. All that is needed to earn these double points is to play in POWERFEST events on the dates shown below and the partypoker team will look after the rest. Finally, there are two POWERFEST Leaderboards that award $120,000 worth of MILLIONS Online tickets every week to the best performing players. Players earn points towards the leaderboards by cashing in POWERFEST events with the top 40 points earners in the Low and High categories winning a prize. For the purpose of the POWERFEST Leaderboards, tournaments with buy-ins of $1 to $44 will be considered Low, while $55 or higher buy-ins are regarded as High. partypoker wants as many people as possible to be able to play in its Super High Roller tournaments so has created satellites into these events. $5,200 POWERFEST satellites run several times per day until May 20 and award between two and 15x $5,200 tickets. These satellites cost $530 to enter, but it is possible to qualify for them via partypoker’s standard satellite tree, meaning you could be playing in a $5,200 buy-in even for less than a dollar. There are also satellites for the $10,300 buy-in events on May 6, May 13 and May 14 that cost $1,050 to enter. Again, feeder satellites are available for these games. Anyone wanting to play in the $25,500 Super High Roller and be able to battle it out for a share of a guaranteed $5 million can qualify for $2,600 in the POWERFEST $25,500 satellites. $215 buy-in feeders run every day until May 17 and you can win your $215 tickets for practically nothing via partypoker’s standard satellites. Finally, if sit & go tournaments are your fortay, you’ll be delighted to learn partypoker has three different buy-in levels of sit & go POWERFEST satellites. Each are played on six-handed tables where everyone sits down with 500 chips and plays to a hyper-turbo blind structure that increases every two minutes. The third-place finishers win whatever remaining cash there is after the tickets have been awarded. 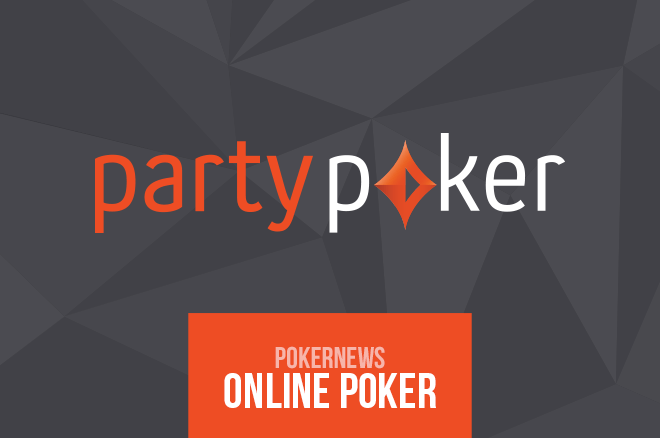 Grab yourself a welcome bonus of up to $500 when you download partypoker via PokerNews. Ensure that you enter the bonus code “PNCOM” when making your first deposit and partypoker will match it 100 percent up to $500. Following these simple instructions also gives you access to the remaining $2,000 freerolls that are exclusive toPokerNews. Find out more about those via this link.